Redd Windows specialise in the production and fitting of conservatories, windows, doors, fascias and soffits. Conservatory fitters. Window fitters. Double glazing. Conservatory construction. Redd Windows have built a reputation for providing a quality service at competitive rates, so you can benefit from the peace of mind that you need when investing in your home. Based in the Berkshire area we build and install across the south of England and are never more than a phone call away. We are happy to discuss your requirements at a time to suit you, day or night as we understand many of our customers do not have the time during normal working hours to deal with home improvement matters. 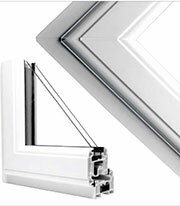 We offer the very latest energy efficient windows and doors, which will help you to make savings on your energy bills. We can also use solar reflective glass in your conservatory roof, to keep your home cooler in summer and warmer in winter. You and your home improvements are unique, so we offer custom designed products to suit your particular requirements. We always listen carefully to your needs, making sure we meet your expectations and advise on the best way to utilise your budget. We are completely focused on ensuring that the customers wishes are always met and as a result 95% of all the work that we undertake comes via recommendations from previously satisfied customers. All of our products are energy efficient. They are proven to keep the warmth inside your property whilst keeping the cold out, reducing your heating cost significantly. Our frames, along with A rated double glazed units, allow us to be able to offer the highest rating of energy efficiency double glazing. A rated! Our aesthetically detailed profile features a slim-line sculptured ‘ovolo’ edge to compliment any property. Security = peace of mind. All of our windows and doors are designed to surpass even the most stringent security tests, with the latest features such as; high security protected hinges and extra strong locking mechanisms for added peace of mind. We also offer optional features, such as restricted opening for child safety as well as fire escape openings for upstairs rooms. Low maintenance & eco friendly. The high quality PVCu eco friendly materials used in our products result in windows and doors that are very low maintenance. They do not peel, rot, crack or warp like their traditional timber equivalents. Registered in England & Wales - ©2015 Redd Windows. All rights reserved.